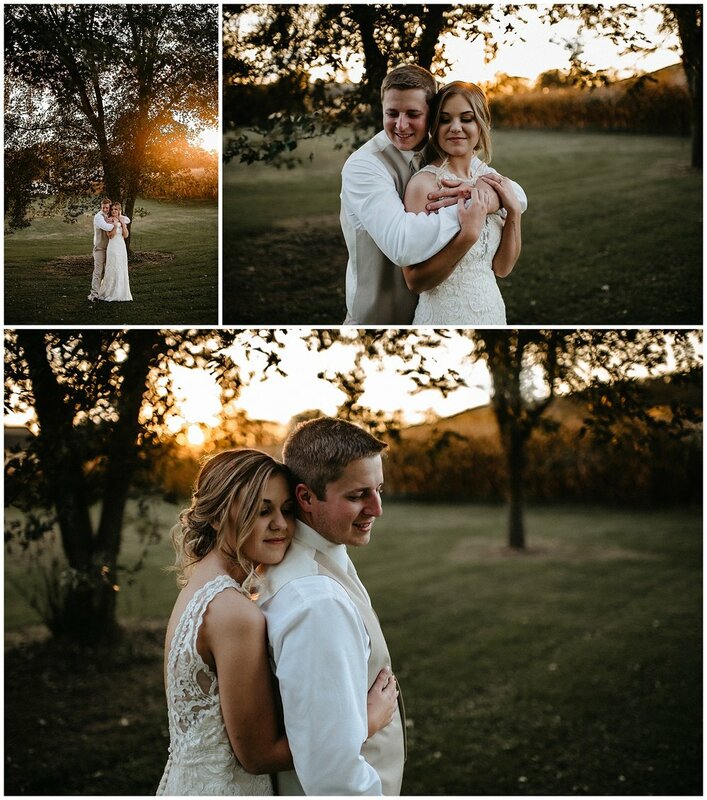 Ashley and Zebadiah had the picture perfect fall wedding! Both the ceremony and reception were held at The Red Barn in Lock Haven, Pennsylvania. The Allen’s are the cutest couple ever so capturing their big day was easy peasy! Between all the kisses, dancing around with each other, and subtle glances, it’s very obvious this love story is forever. The ceremony was held outdoors on the insanely gorgeous grounds of the barn. Inside, the reception was shabby chic with a touch of country. I love this time of year because I get to work with bold colors like the wine colored bridesmaids dresses and the dark wood inside the venue. Make sure you scroll down to check out the cornfield sunset pictures… I mean… WOW! Congratulations again, you two! Wishing you nothing but the best! Special thanks to the amazing vendors that helped this special day come to life: The Red Barn, Curt’s Smokin’ Ribs, BMSHL, and Flowers by Monica.